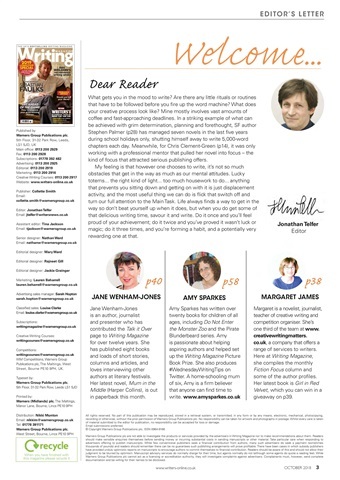 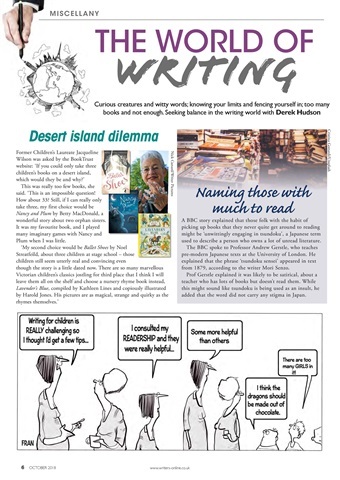 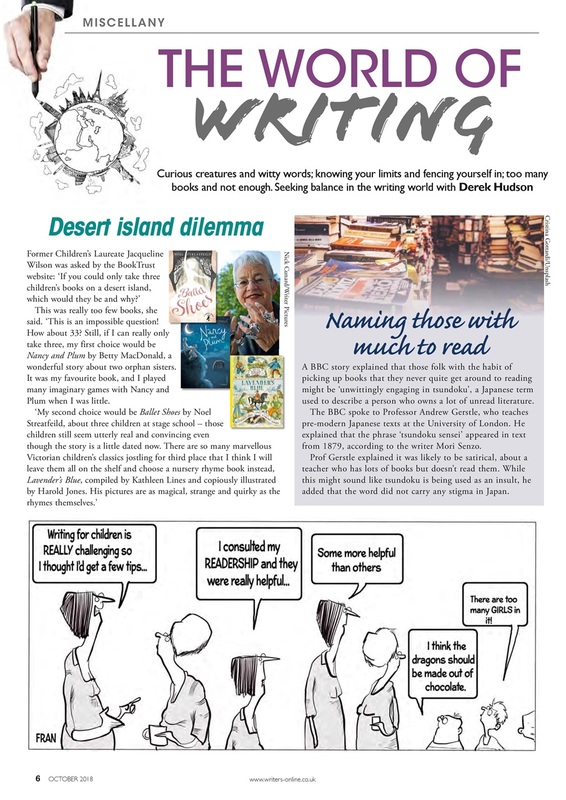 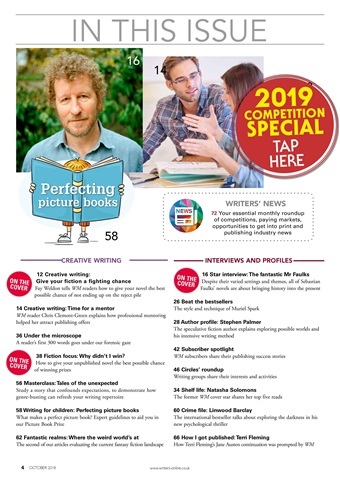 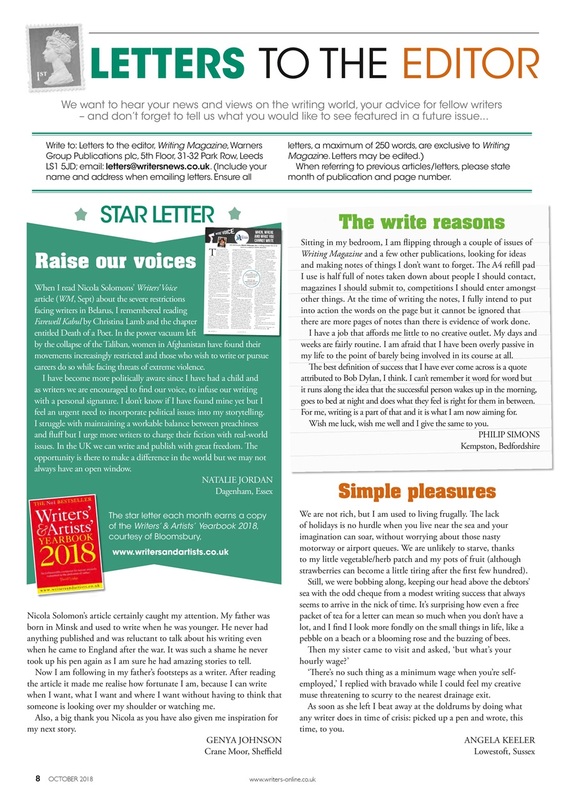 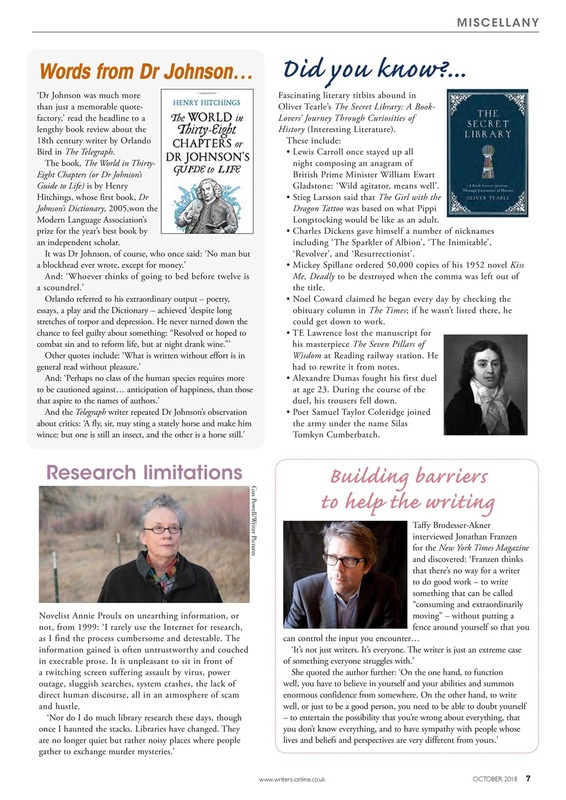 Don't miss this month's issue, including the 2019 Competition Special with more than 220 writing competitions to enter and £500,000 in writing prizes to be won. 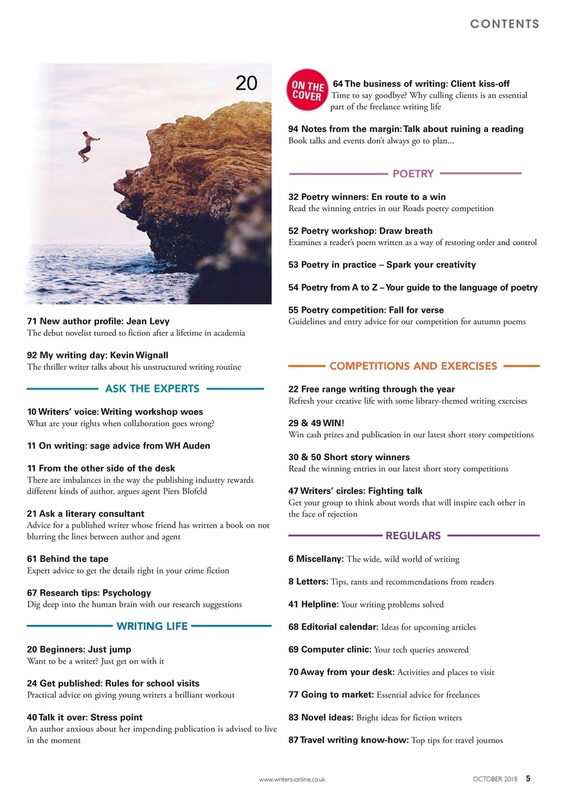 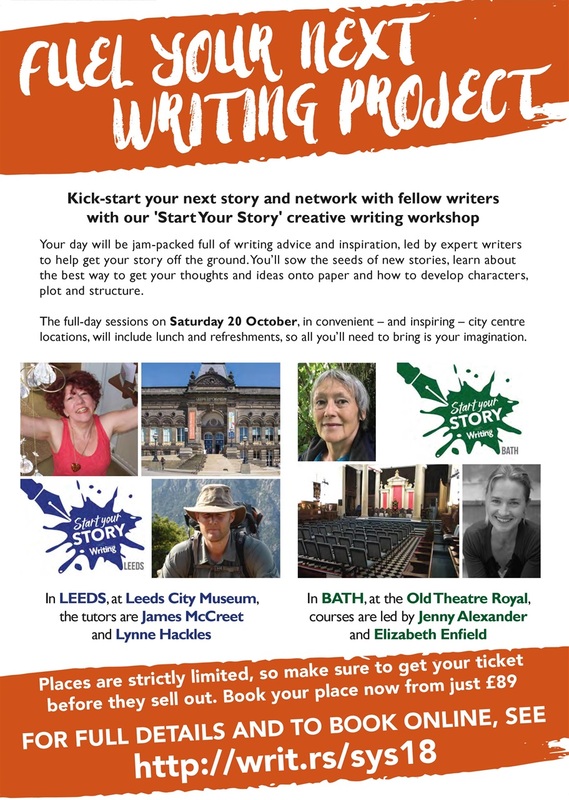 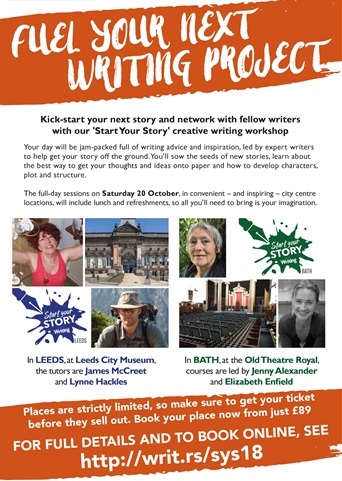 There's also advice on how you can improve your chances of winning writing competitions. Read the star interview with literary heavyweight Sebastian Faulks talking about his new novel, Paris Echo, and no-nonsense writing advice from grande dame Fay Weldon. 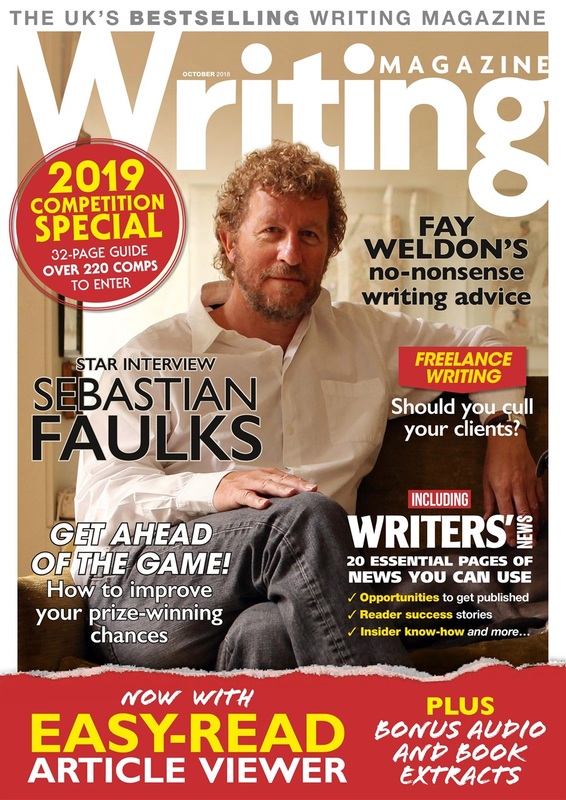 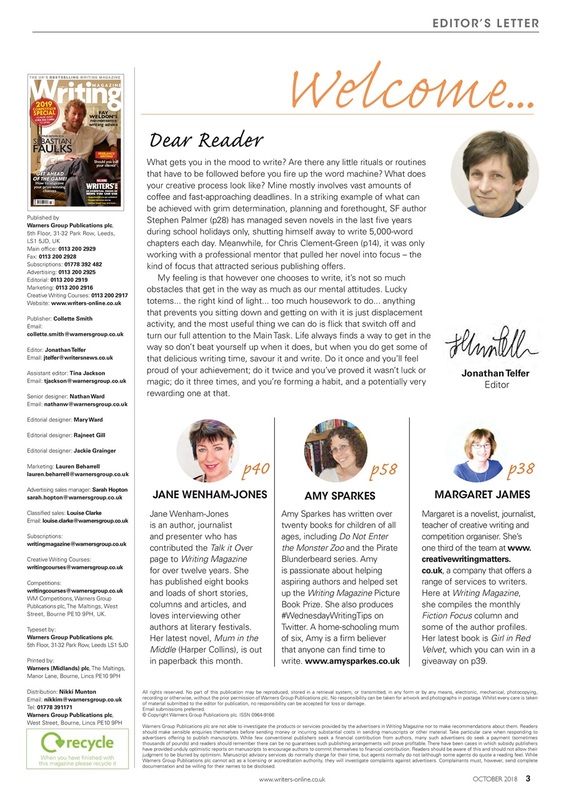 Get your freelance writing life in order with advice on culling clients that are past their sell-by date, and keep up to date with all the latest writing opportunities in Writers' News.